Everybody has questions about AAP – their intentions, their legacy, their sources, their policies, their leaders – questions and doubts. so bizarre, so strange, that this is all I hear in the media, day-in and day-out. I had written a piece about how the so-called achievements of Narendra Modi do not impress me – not to sound arrogant, but to put facts into perspective for a neutral audience and prospective voter. After all, we don’t want to be taken for a ride again, right? Anyway, somebody posted this article “12 Reasons Why I Don’t Trust AAP and Arvind Kejriwal’s Intentions“ in the comments – which had raised some really controversial and sensational questions about AAP. I happen to be somebody who can answer these questions, so I decided to write a point-by-point rebuttal to those doubts and questions. Q 1. “Arvind Kejriwal was never transferred outside Delhi while in Service as Joint Commissioner of Income Tax. Why? Answer 1: This point was raised by Mr Digvijay Singh at the time of IAC movement ,when Kejriwal fasted at Delhi with Anna ji . All his questions were answered , Read: “Kejriwal and wife never transferred out of Delhi” on Money Life. The article says clearly that the vacancies for honest officers are lacking and Kejriwal’s track record was clean. Perhaps, some people should do good research before alleging. Or, they already know the answers, but still ask questions, because they assume that a normal reader may not put the effort in research – and believe these twisted facts as is. Answer 2: Sorry, I couldn’t find any official link of IAC website confirming that, only found Madhu Kishwar’s tweet and same stuff being copied at Narendra Modi for PM facebook page. So Madhu Kishwar starts a rumor – she being a journalist (I don’t know why I even use this word for her) – has no source for her serious allegation. And Mr Future PM follows and retweets a fake made-up fact. Is that not amazing and outrageous at the same time? Laughable indeed! Answer 3: Well, reading about Yogendra Yadav, this claim is being made because he was in University Grants Commission which is run by HRD , from which he was forced to leave, a good read on that here on FirstPost. Modi fans will cleverly claim that Yogendra Yadav has only targeted Modi but not Rahul Gandhi, but is that a fact? Read Rahul has neither skill nor capacity to take on Modi – Yogendra Yadav. Had AAP really be connected to Congress in any way, they wouldn’t be destroying Congress single-handely. If AAP has harmed any party the most, it is Congress. Now, the secular minded people don’t need to make a compromise with Congress, they have a party which is not only inclusive towards all religions, but also wishes to change the system inside-out to root out corruption. Q 4. Kamal Farooqi who supported Terrorist Yasin Bhatkal and was sacked by Samajwadi Party for that has recently joined AAP. And if rumors are to be believed he is soon to become national vice-president. Answer 4: People are open to support AAP – the more the better. But that doesn’t meant that anyone who supports AAP or comes to talk to Kejriwal is getting a ticket. For getting a ticket, there is a big and meticulous procedure. When this rumour came, all AAP volunteers were against it. There is no chance that he will be getting any ticket from AAP, because AAP is not here for just taking the power. National Vice President? Purely, a rumor created by media. Q 5. Prashant bhushan as senior AAP leader has constantly pushed an agenda that if the people of Kasmir want they should be freed or Kashmir should given to Pakistan, depending on the wished of the inhabitants. He was beaten in public for that. Now, Kashmir should be given to Pakistan, he never said that, why you don’t trust Kashmiris? Don’t they see the terrorists sent by Pakistan in their land? Don’t they know they will be doomed if they mix with Pakistan and yes I am not talking about some extremists in Kashmir who are seen protesting on the media. If you check the stats of voter’s turnout for elections in the valley, it almost 65% in seven stages for elections. A 65% voter turn out means, people of Kashmir are happy with India and want to be a part of the democratic process. Check Voter turn out for 2008 legislative Assembly Election. Also see, 90% Turnout in Jammu and Kashmir Panchayat polls in 2012. And we are not living in Kashmir to comment on it’s realities and future. Let the localshave a say in the process. Yes I am not saying that *Remove AFSPA* — because that is needed. It’s just that few men in uniform have done faulty encounters and they need to be properly punished for that, these protests shouldn’t be looked as Anti-India but against those men in uniform who bring bad name to the prestigious Indian Army. Kashmir fake encounter: Colonel, 5 others to face court martial. Now, you find Prashant Bhushan’s remark very disturbing, then why don’t you also find the Mohammad Ali Jinnah’s praise by L K Advani. Ok two wrongs don’t make it right but please understand that we are living in a free country and everyone has right to keep his personal views. You can also search for facts on what Kejriwal said for Kashmir, he said we respect what Army is doing to protect Indian borders and State Govt should not interfere in that. Arvind Kejriwal Disagrees with Prashant Bhushan’s comment. Prashant Bhushan has been physically attacked for his Views on Kashmir, and these attacker was none other then Vishnu Gupta (Hindu Rakshak Sena) and Tajinder Pal Singh Bagga (BSKS). Same guy Vishnu Gupta, they attacked AAP office few days back after they won 28 seats AAP office attacked. How did these guys help Soldiers by attacking Prashant Bhushan? What a shame on free speech! These attacks didn’t help Indian army, didn’t help Kashmir people – but only suppressed free speech and further the clout of intolerant fringe groups. Answer 6: AAP did not receive money from Ford Foundation but the NGO with which Manish Sisodia and Arvind Kejriwal were associated with received money from Ford foundation — now that means it is sponsored by CIA? Shouldn’t that be taken care by the Research and Analysis Wing (R&AW), if this is such a big scare for national security and integrity? Why is BJP so baffled? Since there’s nothing wrong in AP’s funding that is why no govt has been able to pin AAP for any wrongdoing. But BJP and Congress – what about their source of funds? How do we know for sure that they’re not being funded by ‘CIA’? Ford Foundation clearly mentions that how much funds have they have given to social organizations who are working in fields of Research and Social Work. They have also given Funds to some of the IITs – IIT Bombay, IIM Ahmedabad have received grant and many other respectable Social Organizations have received funds from Ford Foundation. Check the complete list of grants. So, does this mean everyone who is taking money is CIA Agent ? Come on – who are BJP trying to fool here? Recently, I came to know that even Modi’s “Vibrant” Gujarat has also accepted a lot of donation from Ford Foundation for various programs – what does that mean? Modi is “developing” Gujarat on CIA money? Q 7. Everyone knows 99% Indian TV and print media is congress own. Why are they suddenly sponsoring AAP? Answer 7: 99% On Indian TV And Print Media – who showed the wrong side of Khirkee Extension? Who mocked Kejriwal for bigger apartments (they even went into his not taken house). But Media forgot to mention that some of the old 3-time MLAs who lost from Delhi have STILL not left their official residences. Media’s job is to do unbiased reporting, happy to know that media is asking so many questions to Kejriwal but media was never late to *Call AAP doing Drama* when the CM slept on the street (on a cold chilling night) because a girl was burnt alive, danish girl was raped and no one in police was taking any responsibility. Police was not even ready to file an FIR . So, the fact is AAP does not need media, media needs AAP. Everybody wants to analyze what AAP has done in 48 days, will the media tell us what BJP has done in other 3 states in which they won? Is BJP doing a good job “by default in all these 3 states? I’m yet to see any media channel do detailed coverage about these BJP states. 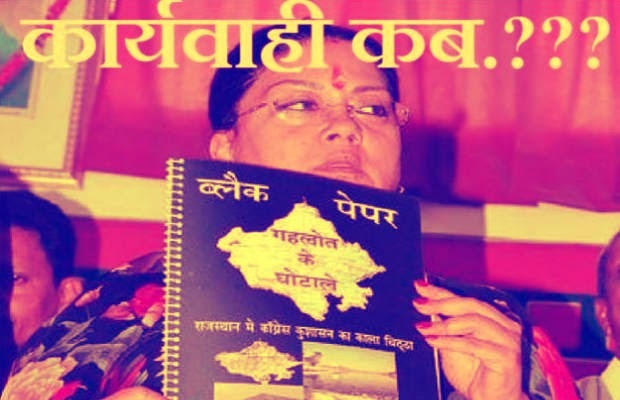 I have heard that Jaipur Metro has been delayed, Gehlot was doing work on fast pace and I even saw the pic of Vasundhra Raje (now BJP-CM), when she showed the booklet of Scams of previous Ashok Gehlot’s govt, no action has been taken since but has media shown that? If they have, kindly please leave a link of that in comments. Q 8. Arvind Kejriwal swore on the life of his kids that there’s no way of joining hands with Congress. After Elections, now they have formed government in Delhi with Congress. Answer 8: Kejriwal never went or gave a phone call to any of the Congress leaders, they themselves wrote to LG for the “unconditional support” which later turned out to be conditional support as said by Sheila Dixit on 28th Dec as soon as the govt was formed. AAP also wrote to BJP, the same letter which they wrote to Congress, why did BJP shied away from the support? First they said look “Kejriwal is getting support from Congress but he is running away from responsibility and as soon as he went on to become CM”, They said “look, we told you AAP is B Team of Congress” BJP was the one who got along with Congress in Sikkim (2009), so what stopped it be together in Delhi? BJP/Congress are the one who rule BCCI ,What stopped them to come together in Delhi ? AAP’s stand was clear, if we make govt, that would be in keeping the issues of Delhi people at first. We come for the people, not for the power. 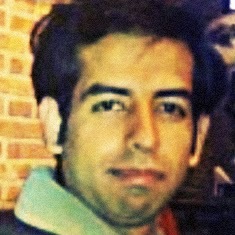 Q 9. Before Elections: Promises free water and electricity price reduction. People think this brilliant engineer will find great way to reduce price. After Elections: Like any uneducated politician Kejriwal takes tax payer money and gives freebies that too only for 3 months. Why only till 2014 Lok Sabha elections? Answer 9: Yes, Kejriwal promised Free water and Electricity price reduction, these things were mentioned clearly in the manifesto. What you forget to mention is Kejriwal ordered for the audit of Electricity Discoms in just 5 days, something which was stopped by BJP/Congress since 2-3 years by saying that case is pending in High Court. Many of the electricity engineers told that Meters were running fast and reduction is possible, then why should the common man of Delhi should pay higher rates? We have all seen that how Power-discoms challenged this in Courts but finally the audit is on and AAP has won the verdict here. If the discoms have nothing wrong , why they were they fearing the audit? Talking about the water, 60 Crores is what is the price for free water. Dear all why were we quiet on 2500 Crore Statues, where was the anger at that time? Why were not angry when the Coal Scam of 1,80,000 Crores happened in our country And Kejriwal gave interim relief, that is harmful ? Here, you forget to mention that AAP has made online arrangements for all the Delhi Tanker Schedule and gave a strict check on Delhi Tanker Mafia by creating team? A friend who is not AAP supporter was telling me that tanker mafia has reduced a lot, people expect zero corruption in Delhi since Day 1 of Kejriwal. Kejriwal is powerful till the time you support him and you fight for good and non-corrupt people. It is people’s fight. Q 10. Before Elections: Within 7 days of coming to power we will file corruption cases against Sheila Dixit. We have 390 pages of proofs. 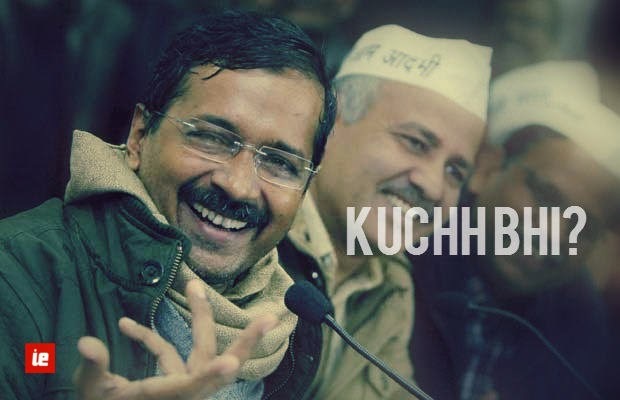 After Elections: When asked, Kejriwal replies; give me proof and I will immediately prosecute, not one protest against congress on Himachal and Adarsh Scam. Answer 10: Yes, he told we will take action against Sheila Dixit and AAP has filed 5 FIRs against Sheila Dixit. 3 on Delhi Jal Board irregularities (Financial Express), 1 on CWG Street Light Scam (Indian Express Report) and 1 on Unauthorized Colonies (TOI- Report) Case. Kejriwal never spoke against Himachal CM, you are wrong, Kejriwal said that in 2011 (When he was with IAC) itself against Himachal Pradesh CM. For Adarsh Scam, AAP mumbai showed the concern but as we know Media will not report outside Delhi. Prashant Bhushan has moved to Delhi High Court against Himachal CM. Q 11. Before Elections: Elected AAP representatives will not use official houses but work from their own homes. After Elections:Withdraws intention to move into plush 10 bedroom penthouse after media and public trash looking for smaller house but will still take house. Answer 11: Kejriwal and AAP manifesto said that they will not take any official residence, agreed but we must know that Kejriwal has no house in Delhi so he asked for house, no other AAP member has asked for House if they are residing in their own house. 10 bedroom pent house? As far as i know it was two houses of 5 Bedroom, one house was to be used for Office. And they are family of 6, I heard Kumar Vishwas saying that its 4 Bedroom house, ok might be some confusion created by Media which showed different houses, so finally he left the house for the people, can we now ask Mr Modi to leave 150 Crore office? Or its too much to ask for? Q 12. Before Elections: AAP will not use official vehicles. After Elections: AAP politicians using govt new Toyota Innova. Answer 12: AAP Manifesto clearly states that we will end VIP Culture and remove red beacons from the Official cars, they never said we will not take cars, kindly read the AAP manifesto and then ask this question. They have removed the complete VIP culture from Delhi. Only two times media showed that AAP MLAs travel on Metro, they have traveled several times on metro, I am saying this because these kind of questions are asked. In the end, I’d repeat again, that most such questions keep circulating online forums and social media channels – but most times, they target AAP on hearsay and rely on the assumption that average person doesn’t take the pain to verify correct facts. When AAP is targeting the most corrupt and the most powerful in the country, do we accept these forces to just roll-over and die. No, they have opened several fronts against AAP – and these fronts are everywhere, in media, on social media, in the streets, in your nieghbourhood. You can either fall for the false propaganda – or rise above, and realize the truth. The fight is difficult and long, the more people stick by till the end, the more powerful this revolution would and the long-lasting would the changes be. The choice is yours.